I do think it is well worth the cost and consideration, especially if you are using it on devices containing electronic medical records, personal health information or personal privacy information or devices that contain proprietary information, critical business information or other information that needs to be securely protected. It can also be used to track a device (individual) as well if that is your goal. We use it as an extra precaution to track our mental health clinicians that do home visits. It allows us to keep track of their whereabouts, in case an issue arises at a client's home. We are able to send someone out to check or assist, alert emergency services or send law enforcement if a situation should arise. Absolute can track devices in real time. If a device is stolen, you can track it. You can lock the device, wipe it or send a message to it. By tracking the device, you can also locate the user that has the device if it is in their possession. You can use it to track your people if you choose, but we use it only to locate an employee if they have not been heard from and have not replied to a cell phone call or text. Once Absolute is set up it requires no intervention. Setup is easy and the management interface is easy to use. It has the ability to track on Google Map with recent and historical locations. Geofences can be setup and triggered to send email alerts. Absolute reporting on the device provides OS information, software inventory, malware software reporting, etc. It protects itself from being removed with its’ persistence technology, which keeps it from being removed from the device, even if the device is reformatted and reloaded. The reporting capability on the devices provides a lot of information on each device that can be very useful in monitoring devices that are typically detached from the network. I do not know where I would consider this product to be deficient in functionality, difficult to use or any major changes that needed to be addressed. I wish the pricing of this product was a little lower, but I do think it is well worth the cost and consideration, especially if you are using it on devices containing electronic medical records, personal health information or personal privacy information. I have only used Absolute Data and Device Security (DDS). It was recommended by my Dell sales rep. After reviewing the product info, and loading a demo, it became clear that this is what was needed to add to our existing security to protect us from information loss due to a data breach on our portable devices. I presented this solution to the appropriate departments, and they agreed that this was something well worth the investment. I think that Absolute Data and Device Security (DDS) is well worth the investment to protect important data securely. Without it, a data breach could cost an astronomical amount of money and you many never be able to complete recover from it. It also aids in recovery efforts for stolen devices and therefor reduces the financial cost of replacing the lost devices. 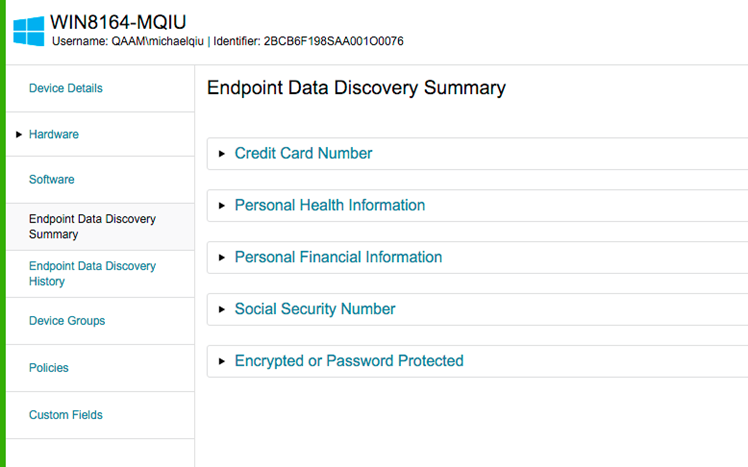 There is a free trial available that is well worth the time investment to see if Absolute Data and Device Security (DDS) might be a valuable tool to add to your existing security plans. Data Protection is ensured which ensures positive focus from all team members on their work which certain results in improved productivity at the individual level of 2-4% that consequently improves organisational productivity. Our cost of external inputs for data security issues is NIL therefore obviously reducing the bottomline by 1-2% which would be the average cost incurred by organisations of our size in general. Of course an event maybe costlier, but I am sticking to averages since we have had no events. Overall, we feel that the cost of security software is also lower on account of optimised pricing by Symantec. While the expense in this segment is a fraction of total IT costs, and therefore tangible savings are also fractional. However, So, since the value of outcomes (lack of security related negative events) is much higher, intangible benefits are even higher.